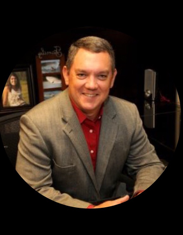 Dr. Richard Abernathy is currently the Executive Director of the Arkansas Association of Educational Administrators (AAEA), a position he has held since July 2010. Prior to that he served as the Superintendent of the Bryant School District in Bryant, Arkansas for seven years. At that time Bryant had a student population of over 7,600 students and continues to be one of the fastest growing districts in Arkansas. 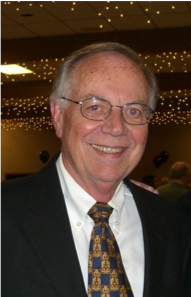 Dr. Abernathy began his career in education as a math teacher and coach at Alma. He then moved into administration serving as principal at Lavaca and Clarksville and assistant superintendent and athletic director at Ozark before becoming superintendent at Paris. Dr. Abernathy serves on several state committees including the Board of Trustees for the Arkansas Teacher Retirements System. Formal schooling took me from a pre-school to a Roman Catholic school, both in Gambia, West Africa, followed by a Protestant boarding school in England, Great Britain. Since then, I have received training and attended colleges and universities in person or online in England, Nigeria, and USA. My experiences include Correctional Officer in the Arizona State Prison Complex, Ordained Minister, and Fisheries and Aquaculture Officer. My qualifications include Science Teaching Certificate for 6th through 12th grade, with over 15 years of teaching and coaching experience, and Arizona Principal License since August 2017, with my first administrative assignment being Math Instructional Coach in Globe, Arizona. One of the most cherished awards I have won from the workplace is my Professionalism Award, determined by peer vote, at Correctional Officer Training Academy in September 2013. Another highlight and honor was when the administration and high school students pled with me in the winter of 2011 to return to teach at their school after I had left and had started working in another high school. County Assistant Superintendent of Schools, CA, Retired. Lecturer in Education at the University of CA, Riverside. Adjunct Professor at the California State University, San Bernardino. Adjunct Professor at the University of Redlands. President of the ASCD, 1999-2000. 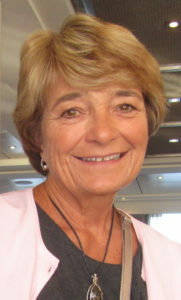 Caughey retired as the executive director of CASE in July, 2016 after more than a decade of service. 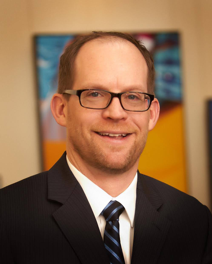 He remains involved in consulting and public speaking, including a recently released (11/2017) series of Issue Briefs “about and against” education vouchers for CASE that is being distributed to school leaders across Colorado. CASE represents more than 2500 public education leaders across Colorado, including school superintendents, principals and other administrators. 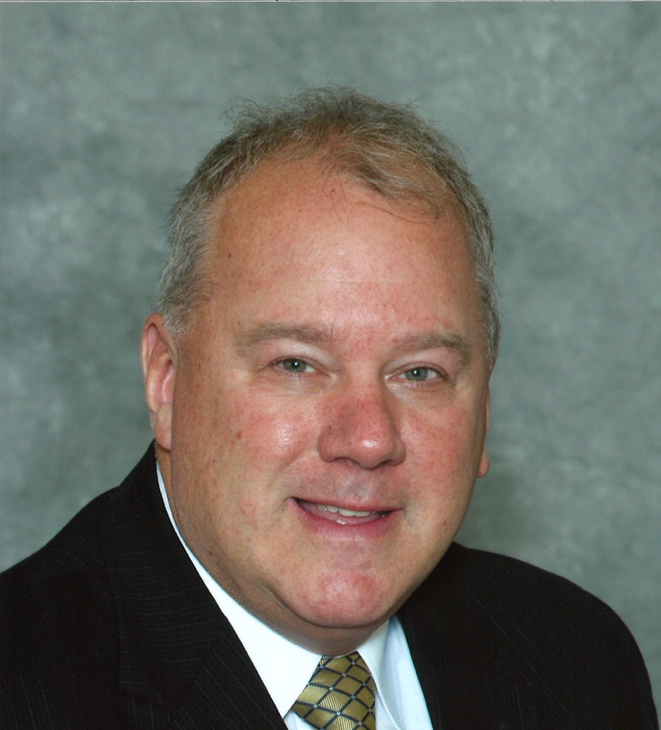 As the elected president of CASE in 2004-2005, Caughey focused on the needs of the seven CASE departments and served as the chair of the CASE Legislative Committee. During his tenure, he served on many state level councils, including Governor Hickenlooper’s Education Leadership Council, and remains on the board of the Public Education and Business Coalition (PEBC). Prior to joining CASE, Bruce spent 16 years in Douglas County School District, serving as director of communications and legislative liaison as the district grew from 13,000 to 50,000 students. Caughey is the author of bestselling guidebooks, including: Crete: Off the Beaten Track, The Colorado Guide (five editions) and Colorado’s Best (two editions) and many periodicals about education and current events. A veteran principal, Nancy Phenis-Bourke uses her experience and expertise as a consultant/facilitator/coach with NAESP. Principal mentor program accreditation, program sustainability, professional development, life-long learning and organizational leadership are embedded in Nancy’s passion for working with principals, students, and staff nationally. 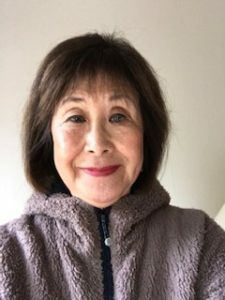 She continues to be a global traveler, culinary arts trainee, certified Level II Ikebono designer, avid golfer, and yoga guru. All which sustain Nancy’s everyday life of learning and living while maintaining families in Colorado, Illinois, and Oregon. Nancy and her husband serve on several local community non-profit boards in Indiana and Florida. Dr. Bourke recently helped developed a 2018 Summer Leadership Academy and Expo for 25 non-profit agencies. Nancy serves as a board member with The Center for Educational Improvement and is President/CEO of the International Mentoring Association. Rosie Young, Ed.D., serves as the Chair of Advanced Graduate Education Programs at Bellarmine University, Louisville, KY. She worked in the Jefferson County Public Schools for 38 years, 28 years as an elementary principal before coming to Bellarmine in 2013 as the Field Placement Coordinator. She also served as the chair of the Ed.S. Program before assuming the chair of Graduate Programs. Certifications include elementary education, school guidance counselor, principalship, ECE supervisor, and superintendency. Rosie served on the Kentucky Read to Achieve Advisory Council (2017 -2020). She serves as a lead and site team member for CAEP (Council for the Accreditation of Educator Preparation). In 2011, she was named Kentucky’s National Distinguished Principal (2012). She was named the Bellarmine Gallery of Distinguished Graduates recipient (2006) and received the Caritas Medal from Spalding University (2011). She serve on a national committee that developed the NELP (National Educational Leadership Preparation). She co-chaired the National Board for Professional Teaching Standards (NBPTS) committee that developed the Accomplished Principal Standards. Rosie also served on the National Association of Elementary School Principals (NAESP) Board of Directors (2000-2006), serving as President 2004 – 2005. Currently, Rosie also serves as the Executive Director of the Kentucky Association of Elementary School Principals. She volunteers her time in support of this association’s mission to lead and serve all elementary and middle level principals in Kentucky. She earned her B.A. from Bellarmine University, her M.Ed from the University of Louisville, and her Ed.D. from Spalding University. Jillayne Torrey Flanders is a 27 year Elementary School Principal, who was honored to be selected the Thomas C. Passios Massachusetts Principal of the Year and National Distinguished Principal in 2010. She served as President, Executive Director and Associate Director of the Massachusetts Elementary School Principals’ Association, and on the Board of Directors of the National Association of Elementary School Principals from 2011-2014. 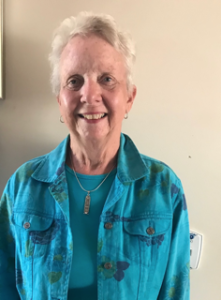 Since her retirement, she is consulting with the Massachusetts Department of Elementary and Secondary Education’s Early Learning Team and its network for early education principals. She serves on the Social Emotional Learning Alliance for Massachusetts, the Advisory Board for Boston College’s InterconnectED Initiative, and the Harvard Graduate School of Education’s Zaentz Early Education Initiative. She is also the very proud grandmother of Becca-Anne, Noah and Alina. Lynn Babcock, EdD, is a retired elementary school teacher and principal. The majority of her experience has been in Michigan with additional years teaching in the Philippines and Germany on U.S. military bases. Also, she taught educational leadership courses as an adjunct professor at Central and Eastern Michigan Universities and for one year served as an adviser to two primary school principals in the United Arab Emirates (UAE) as part of the country’s educational reform. 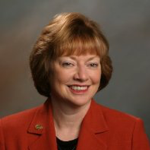 Lynn was the president of the Michigan Elementary Middle School Principals Association (MEMSPA), National Association Elementary School Principals (NAESP) Board of Directors member representing Iowa, Michigan and Wisconsin from 1995-1998 and president of NAESP in 1999-2000. 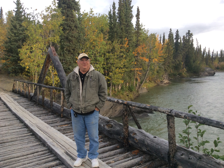 Lynn is involved in local organizations and enjoys traveling, bicycling and downhill skiing. I received my BS and MA degrees from the University of Minnesota with additional work through the National Science Foundation in mathematics at Rutger’s and Columbia Universities. I was an elementary school teacher and principal, also math consultant and curriculum director during a 30 year career in the Minneapolis Public Schools. Upon retirement from there I was the administrator of a private school for 3 years. In 1991 I assumed the position of Executive Director for the Minnesota Elementary School Principals’ Association (MESPA), and was active at the national association level of state directors as well. After 11 years in this very rewarding experience with MESPA, I retired again to assume a part-time adjunct college teaching position (teacher prep course, elementary school math methods) for 3 more years. Since finally retired from a formal job in 2006, I have served on several boards related to education: I am Vice President for the South High School Foundation (my alma mater) and run our scholarship program–managing about $70,000 in grants to students each year; served on the board of ACHIEVE Mpls (the District’s foundation); helped establish and continue to advise a group of retired principals–functioning as a quasi-division of MESPA; served on the board of the Minneapolis Retired Teachers having an advisory role for the group; and now pleased to serve as Minnesota Ambassador for WEF-US. I have been in education since 1999 first as a preschool teacher and daycare manager for one year. I spent two years as a education specialist at Youth Partial Hospitalization Program. I was a teacher’s assistant in a self-contained classroom for one year and a resource teacher for five years. Since January 2011 I have served as the Coordinator of Special Education for Billings Public Schools. In that role I oversee all of the special education programs for the school district. I work with outside agencies for specialized placement for students with Autism and Severe Emotional and Behavioral Disorders. I also supervise a specialized program for students unable to attend public school due to criminal offenses. I currently serve as the Montana Council for Administrators of Special Education Region 3 chair. I am also the Legislative Network representative for this area. I serve as the chair of the Steering Committee for the Legislative Assembly and I am the Montana representative to the National Council for Exceptional Children Legislative Conference in Washington, D.C. Lastly, I have been trained by the Office of Public Instruction as an Individual Education Program team meeting facilitator. 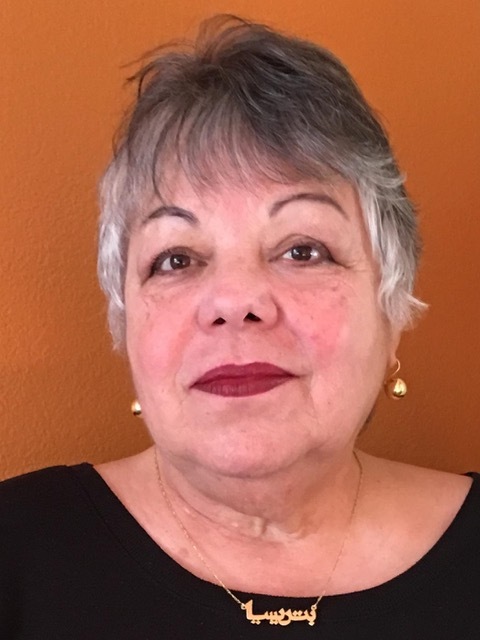 Patricia M. Casarez is a retired Principal and teacher with over 30 years of educational experience in Wisconsin, New Mexico, Texas, and Nevada. She most recently has worked as an International Educational Project Consultant in China and the United Arab Emirates. 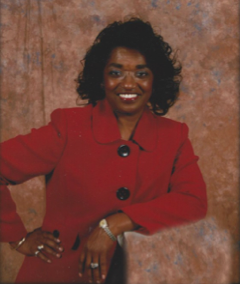 During her tenure in Nevada, Patricia served as the Zone IX State Representative to the National Association of Elementary School Principals (NAESP). 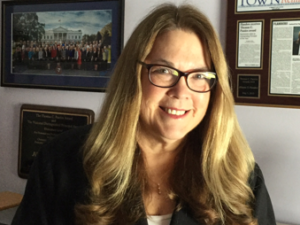 Her passion for kids has led her to this position as the Nevada Ambassador where she hopes to carry the message of the World Education Forum- USA (WEF-USA) to local school boards, school districts, and associations in her state. Ken completed his 45th year in education with all but two years in Central Vermont. 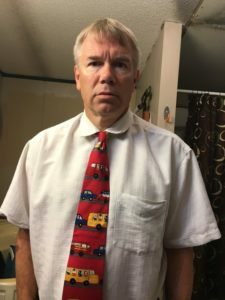 He has been a middle and high school teacher for 15 years, an elementary principal for nine years, and a middle school principal for 12 years, and eight years as Executive Director of the Vermont Principals’ Association. When he retired from VPA, he became the very part-time Vermont Coordinator of the Margaret Waddington Leadership Initiative with the Center for Creative Leadership in Greensboro, NC. Following this, Ken and his wife moved to Dublin, NH to be closer to their grandkids in Providence, RI. Inquiring about principals to mentor in New Hampshire, Ken received word of the one-year Interim Executive Director position at the New Hampshire Association of School Principals. 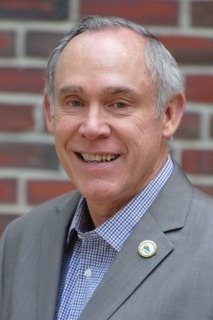 His work at the Vermont Principals Association involved professional development for principals, mentoring and supporting them through thorny issues, running the 500+ member nonprofit organization and its staff of five, and advocating for his organization and the principalship in the Vermont General Assembly. In 2011, a new principal mentoring bill passed. Ken continued to “walk the talk” by serving as a principal mentor for two Central Vermont school leaders who were new to middle school and to early adolescents. Lisa M. Belz has served as an educator for 30 years. 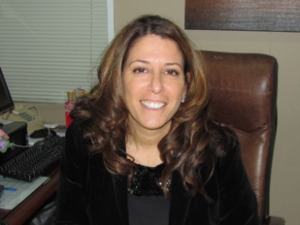 Currently she is the Executive Director for Special Education/PPS 6-12 in the East Islip School District located on the south shore of Long Island. Prior to this position, Lisa served as Director of Special Education K-12 for one year and as an Elementary Principal for 11 years in the same school district. Lisa started her administrative career as an elementary assistant principal after teaching at the elementary level for 11 years. During her tenure as principal, her school was recognized as a New York State Reward school for three consecutive years and in 2012 named a National Blue Ribbon School. Lisa has rounded out her educational career, having served as a Board of Education Trustee for three years in her home district. An avid learner, she earned her Doctorate in Education from St. John’s University in 2008, focusing her area of study on at-risk learners. Lisa serves on many district committees and has been named Educator Advocate for 2018. Kevin F. Hulbert is the principal of Keeseville Elementary School in the AuSable Valley Central School District in upstate NY. In 2016, Kevin received the Adirondack STAR Award “for the support Mr. Hulbert has shown to the families of the Adirondacks.” In 2011, Kevin was chosen as the New York State Elementary School Principal of the Year. 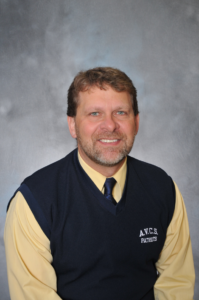 Kevin has served as an educator for 28 years and has been an elementary level administrator in his current position for fourteen years. Kevin previously served as an elementary teacher, a middle school social studies teacher, a high school social studies teacher, an Education Specialist via the New York State Regional School Support cCnter, a Dean of Students, and an Athletic Director. In addition, Kevin led Keeseville as it was recognized in 2010, 2011, 2014, 2015, 2016 and 2017 with the College for Every Student “School of Distinction” Award for promoting college awareness throughout the school and Kevin also served and played an instrumental role in the fight against bullying in upstate New York as the Co-Chairperson for the North Country Task-force Against Bullying committee from 2010-2014. Finally, he has also served and important role as the New York State Region 7 Government Relations Representatives for his Administrative group and as a Board of Director’s member for the same group. Kevin’s dedication to the students and educators of New York has been evident throughout his career. 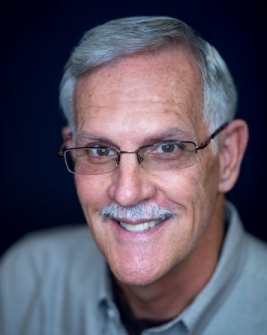 Ken Bernacki has spent the past 31 years in the field of education. He has been a teacher, assistant principal, principal, and director of pupil personnel during those years. He has served as President for the Ohio Association of Elementary School Administrators and as a State Representative to the National Association of Elementary School Principals. Since retirement, Ken is the special education professional development coordinator for the ESC Learning Alliance. He is also a part-time instructor at Cleveland State University. Melissa (Missie) Patschke has served public education for the past 32 years. She believes strongly in the power of positive relationships, the need for whole child education, and in the lasting impact of using social/emotional tools in schools. Missie supports research-based best practices and the belief that “ALL” children can learn. Missie is currently a principal for two sister schools, Upper Providence Elementary and Spring City Elementary, located in the Spring-Ford Area School District. 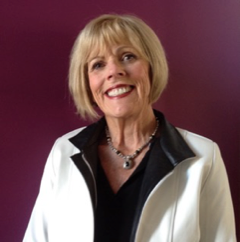 Missie has taken her talents into adult learning forums, public speaking venues, coaching and mentoring programs, as well as consultation services. 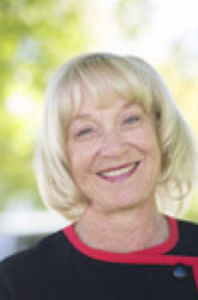 Missie prioritizes federal and state congressional visits to advocate on behalf of “what’s right for children and schools.” She has a strong interest in providing children diverse cultural experiences, global civic awareness as well as encouraging service learning opportunities in communities. Over the past decade, Missie has dedicated her commitment and passion to the work of a variety of educational organizations including the National Association of Elementary School Principals (NAESP) and state affiliate, Pennsylvania Principals Association as well as stakeholder work for the IDEA Partnership, Office of Special Education Programs (OSEP). Missie is proud of her involvement with the Leadership Immersion Training and Mentor Certification process as well as her role on the board of directors for the Center of Educational Improvement. In addition, Missie serves as an adjunct faculty member for several Universities. Dr. Summer Schultz is currently in her 6th year as the Superintendent at Dell Rapids Public School. She also works for Augustana University’s Education Department as an adjunct professor in the MAE program. Summer received her Ed.D. in Educational Administration from the University of South Dakota, her Administrative Licensure was obtained from Saint Mary’s University of MN and both her MS in Computer Education/Technology and BS in Elementary Education/Special Education were earned from Dakota State University. 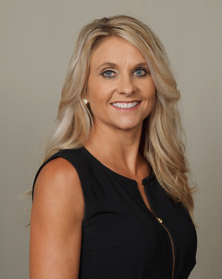 Prior to working in the Dell Rapids School District, Summer spent five years as an administrator in Minnesota. Summer and her family live in Dell Rapids. If she isn’t at school, you can usually find Summer attending one of her children’s events, on the golf course, or out for a run. Dr. Yvonne Griggs Allen is currently an Education Consultant. She is the past Regional Director of the Memphis/Shelby Field Service Center for the Tennessee Department of Education. She served 24 ½ years as an elementary and middle school principal and as an adjunct professor at Lambuth University in Jackson, Tennessee. She is the Past President of the National Association of Elementary School Principals and Past President of the Tennessee Association of Elementary School Principals. 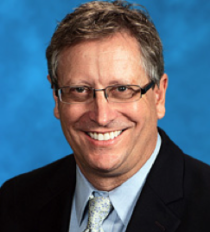 Dr. Allen served on several statewide education commissions and advisory committees and served on the Board of Directors for the National Board for Professional Teaching Standards (NBPTS). 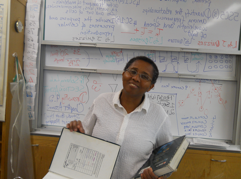 She presented at international conferences (EARCOS, AISA) in Singapore, Ethiopia, and Zimbabwe during 1993-1999. Her professional honors include: 101st United States Congressional Record for Outstanding Achievements in Education in 1989, selected by the U.S. Department of Education and NAESP, Tennessee’s “National Distinguished Principal” in 1987, National School Safety Center as a “Principal of Leadership” in 1988, “American Hero in Education” by Reader’s Digest in 1989, “Executive Educator 100” list by the National School Boards Association in 1993, Milken Family Foundation National Educator Award in 1996, inducted into the Freed-Hardeman University School of Education Hall of Fame, and University of Memphis (Department of Leadership) Outstanding Doctoral Candidate Award in 2009. During Allen’s tenure as Principal of Whiteville Elementary, the school earned recognition as a “Blue Ribbon School” by the U.S. Department of Education in 1993 and was cited by Redbook Magazine among top-notch schools nationwide in 1993 and 1995. Jay Nichols is the Executive Director of the Vermont Principals’ Association. Previously, he was a Superintendent and Principal in Vermont. Mr. Nichols was selected as the 2018 Vermont Superintendent of the Year. He teaches Adjunct courses in School Leadership at Southern New Hampshire University and Saint Michael’s College (Vermont). Nichols is also the Principal of the Leadership consulting group Nichols Education and Leadership Consulting(N.E.L.C). Dean M. Warrenfeltz retired after a 34 year career with Berkeley County Schools (WV). During that time he served as a middle school Choral/General Music teacher, a high school Asst. Principal/Principal, and 16 years as an elementary school principal. He also served in every office with WVAEMSP including two terms as president. Dean was the Zone 3 Director on the NAESP Board of Directors from 2010 – 2013. Dean was honored to be recognized as National Distinguished Principal (WV) 2009. Dean currently serves as an Adjunct Professor for Hood College located in Frederick, MD. He teaches Educational Supervision to cohorts of teachers who are working toward a degree or certification in education administration. 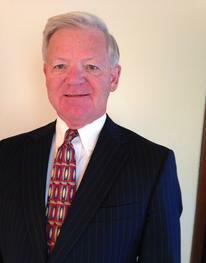 Jim Lynch serves as the Executive Director of the Association of Wisconsin School Administrators where he has worked since 1994. He earned his bachelor’s degree in public communication and his master’s degree in public policy from the University of Wisconsin-Madison. He and his wife, Julie, live in Madison, WI and have two adult children, Luca and Francesca.